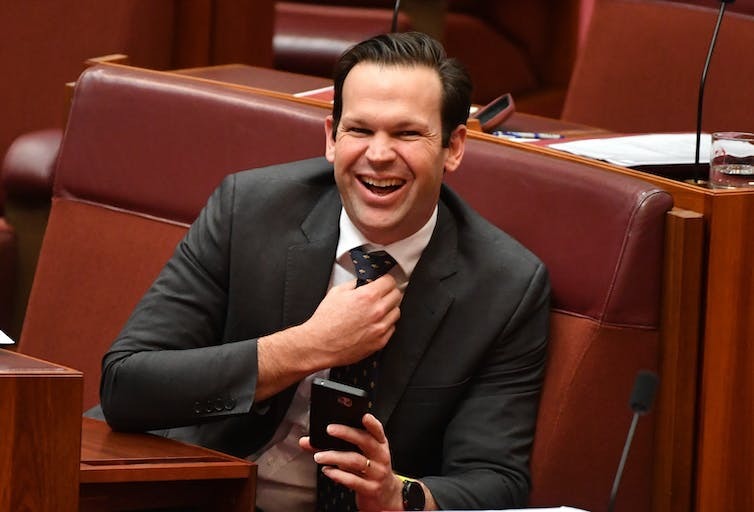 Matt Canavan has been told that he is an Italian citizen. Cabinet minister Matt Canavan has become the latest federal MP to be tripped up by the Australian Constitution’s ban on dual citizens serving in parliament. On Tuesday, the Nationals senator resigned from cabinet, pending an investigation into whether he holds Italian citizenship. Canavan’s case, and those of the two Greens senators – Scott Ludlam and Larissa Waters, who resigned from parliament entirely over their dual citizenship earlier this month – have provoked calls for changes to the Constitution. Section 44(i) of the Constitution states “any person who is under any acknowledgement of allegiance, obedience, or adherence to a foreign power, or is a subject or a citizen or entitled to the rights or privileges of a subject or a citizen of a foreign power” is ineligible to stand for, or sit in, federal parliament. At the heart of the current controversy is that the senators were either ignorant of their second nationality or believed themselves to have lost it. For some this amounted to carelessness – even “incredible sloppiness”, in Prime Minister Malcolm Turnbull’s words – by them or their party. … disqualified from election to parliament if they do not take “all reasonable steps” to renounce their other citizenship before nomination. Taking all reasonable steps necessitates the use of renunciation procedures of the other country where such procedures are available. But what about cases where someone was not in a position to take “reasonable steps”, because their second citizenship was unknown to them? The AEC’s advice refers to a 1992 case in which the High Court closely examined Section 44(i) for the first time. The case concerned the eligibility of candidates in the 1992 by-election for the lower house seat of Wills. It included a meticulous examination of what it meant for an Australian to hold a foreign nationality, and how a nationality might be discharged. The court recognised that Liberal candidate John Delacretaz and Labor’s Bill Kardamitsis, both naturalised Australians, had lived in and contributed to Australia for many years, and that neither had taken any advantage of their other citizenship over that time. Nevertheless, the court’s majority concluded that any candidate who had not actively renounced their foreign citizenship was constitutionally disqualified, regardless of whether there had been any benefit from, reliance upon, or even acknowledgement of that citizenship. The mere entitlement to a foreign nationality was enough. This interpretation has applied ever since. But two dissenting judgments offered an alternative perspective. This may provide guidance in thinking about the meaning of the Constitution’s provision today, and even an alternative to the difficult task of constitutional change. Although certain facts differed from the current examples – the candidates were not native-born Australians, and the naturalisation process at the relevant time included renunciation of all other allegiances – the reasoning still applies. Did the disqualification rule really apply in the absence of active identification with, or allegiance to, a foreign country? And should the interpretation of the Constitution be subject to other countries’ laws? … only to cases where the relevant status, rights or privileges [of citizenship] have been sought, accepted, asserted or acquiesced in by the person concerned. For an Australian-born citizen, Deane concluded, there should be no disqualification unless there was such a “relationship with the foreign power”. For a naturalised citizen, doing all that “can reasonably be expected to extinguish any former relationship with a foreign country to the extent that it involves the status, rights or privileges” of citizenship would be sufficient to overcome disqualification. Both justices also recognised that each country has the sovereign power to determine its own citizenship law. But, in justice Mary Gaudron’s view, “every consideration of public policy and common sense tells against the automatic recognition and application of foreign law as the sole determinant” of the constitutional rights of Australian citizens. … disqualify the whole of the Australian parliament by unilaterally conferring upon all of its members the rights and privileges of a citizen of that nation? In other words, what are the limits in treating unintended or unwanted foreign citizenship as genuine foreign allegiance? Many countries (Ireland, for example) automatically confer citizenship on the children of their citizens. Many Australians will not be aware they have received such a “gift”. If, as has been said, Section 44(i) was designed so MPs “did not have a split allegiance and were not, as far as possible, subject to any improper influence from foreign governments”, surely citizenship of which one is ignorant cannot create such conflicts? Responding to Canavan’s troubles, Attorney-General George Brandis suggested Canavan was not disqualified because his Italian citizenship was acquired “without [his] knowledge or consent”. This may not be correct under current constitutional law; the government will refer Canavan’s case to the High Court. But it captures a perspective that is well worth consideration. Migration legislation does not require judicial authorisation for a person to be deprived of their freedom. The recent wrongful detention of two Australian citizens by immigration authorities highlights that our Constitution offers inadequate protection for freedom of the person. This is not the first time Australian citizens have been unlawfully detained. In 2001, Vivian Solon, who had suffered a head injury, was deported even though she told immigration officials she was an Australian citizen. 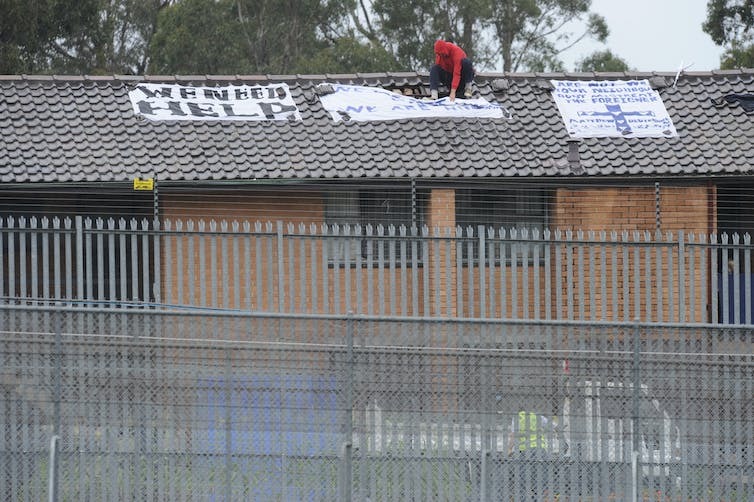 In 2004, Cornelia Rau, also an Australian citizen, was held in immigration detention after she was unable to identify herself because of mental illness. The government could do this because migration legislation does not require judicial authorisation for a person to be deprived of their freedom. The Solon and Rau cases were found to be only two of more than 247 instances of unlawful detention that had occurred over the previous 14 years. The extent of the government’s power was revealed in 2015, when the Department of Immigration announced Operation Fortitude. This would have involved stopping people randomly on Melbourne’s streets to check their migration status. The operation was cancelled only after mass public protest. So, anyone who is walking in the Melbourne CBD and speaks with a strange accent, or has suffered a brain injury, or is experiencing mental illness and cannot demonstrate a right to be in Australia, is liable to detention at best – and deportation at worst – without recourse to the courts. The reason the government has this power is because Australia’s Constitution does not adequately protect individual liberty. In 1992, the High Court held that separation of powers means that only courts can declare people guilty of crimes and imprison them. It therefore held that parliament cannot enact laws authorising the government to do that. However, the court said that parliament can authorise the government to order so-called “non-punitive” detention – for example, detention for immigration purposes or in cases of communicable diseases. Section 75(v) of the Constitution allows someone to challenge government decisions on administrative grounds. However, the High Court has held that this section does not allow the courts to decide whether the exercise of power is reasonable. On this basis, it found it would be lawful to detain someone under the Migration Act forever. The court has also held that there may be many other – undefined – circumstances in which people can be detained without court approval. The concept of “non-punitive” detention is vague. It is also oxymoronic: all detention is surely punitive to the person who experiences it. It leads to the bizarre situation that the law provides you more protection if you have committed a crime than if you have not. It is fundamental in a free society that the law should not allow the state to deprive a person of liberty other than through due judicial process. The Liberal Party proclaims its belief in “the inalienable rights and freedoms of all peoples” and a “just and humane society”. Yet it marked the 800th anniversary of the Magna Carta – the founding document protecting rights in western democracies – by drafting legislation authorising deprivation of citizenship without the need to go to court. Labor has been no less resistant to the idea of constitutional rights. The Rudd government’s terms of reference to its inquiry into human rights specifically excluded consideration of putting new rights into the Constitution. Opposition by politicians to constitutional rights is obviously self-serving, and it is often absurd as well. Former NSW premier Bob Carr objected to a Bill of Rights on the ground that it would create a “lawyer’s picnic”. The only effective way to protect liberty of the person is to deny the government the power to detain, unless it can demonstrate to a court that there are reasonable grounds for deprivation of liberty. And the only effective way to prevent the government from enacting legislation to give itself that power is to create a constitutional right protecting freedom of the person. Everyone has the right to due process of law and not to be unreasonably deprived of personal liberty. In a system where the burden appears to lie on the individual to prove they are lawfully in Australia rather than on the state to prove they are not, we are all vulnerable to deprivation of liberty. The right to individual liberty is also a basic requirement of human dignity. That a person has been deprived of a right by a democratically elected parliament does not diminish the assault on their dignity. The concept of a free society inescapably requires that limits be imposed on the will of the majority. That is why the power of parliaments has to be restrained. This is what opponents of rights who trot out the objection to “unelected judges” overturning parliament’s will fail to grasp. It is precisely because judges are independent of the will of political majorities that ultimately only the courts can effectively protect individual freedom.